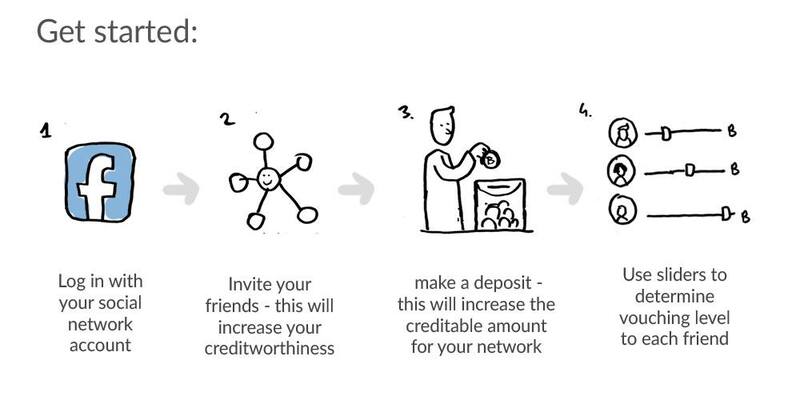 Today we introduce early version of dynamic credit lines. This gives more power to bitcoin holders. If you have positive balance you could assign rate and maximal amount per friend. If they will use this funds they will be responsible for paying it back. 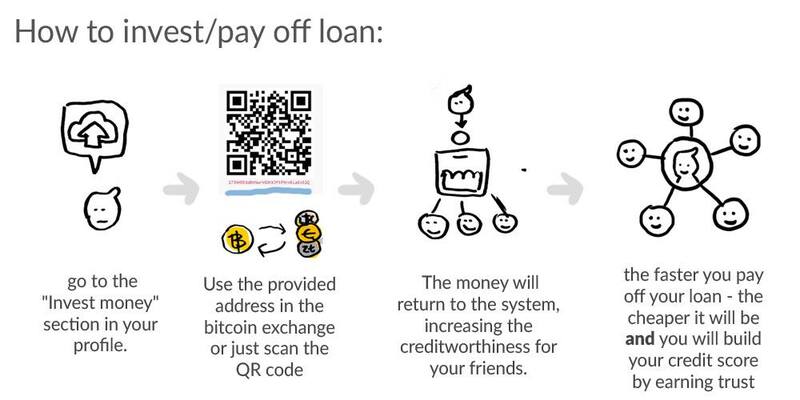 If you don't have bitcoin you could still earn money by routing trust from people with bitcoins to people that need loans. 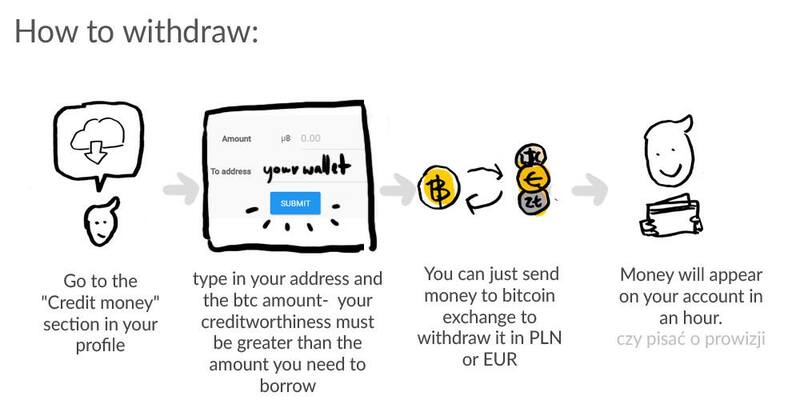 To withdraw money just select amount and address. Current percentage is subject to change: try send small amount of bitcoin and see for yourself. Want to see this working? Instead of waiting for loan funding you could get credit line before you will need a loan. Connect your facebook account and add some friends. 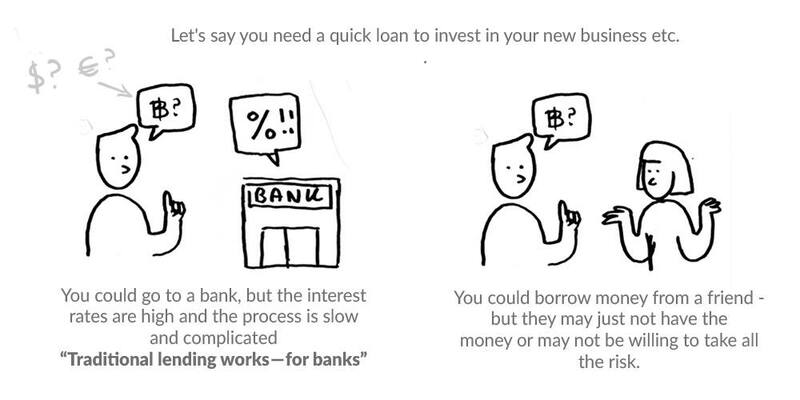 Low interest rates means that you will be able to get out of debt faster. Blog • Made by Yikes Team.